Home › Blog › Dealing With A Toothache? DO YOU HAVE A TOOTH THAT HURTS WHEN YOU CHEW OR WHEN YOU EAT SOMETHING TOO HOT OR TOO COLD? Here at Dental Care Today, PC we understand that toothaches are no fun. Sometimes a simple toothache may be caused by a number of minor factors—including sensitivity. But if you’re unsure, or if the pain continues, it’s probably a good idea to visit with us. 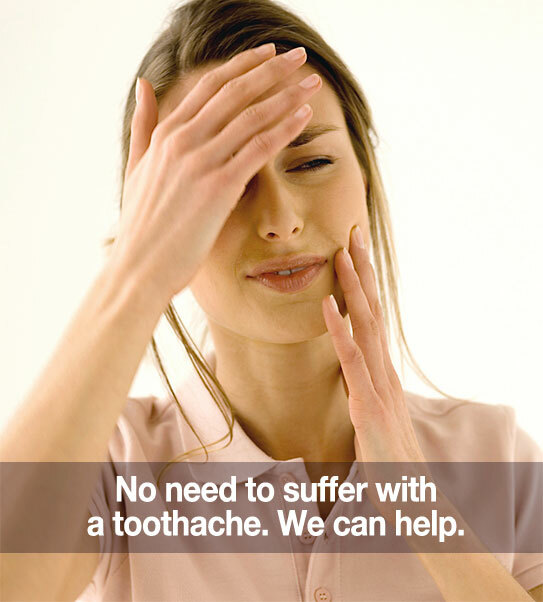 We have a great deal of experience treating toothaches. Come in and see Dr. Behner or a member of our team as soon as possible so the problem doesn’t get any worse. Toothaches are often caused by dental cavities, a cracked tooth, an exposed root, or even gum disease. However, issues with the jaw-joint can also cause toothaches. Through a simple x-ray procedure, Dr. Behner can help determine the cause so that the issue can be treated.